The sandy beach at Greatstone is quite flat and stretches from north to south for over two miles, and is frequently ‘washed’ by the tide of the English Channel. 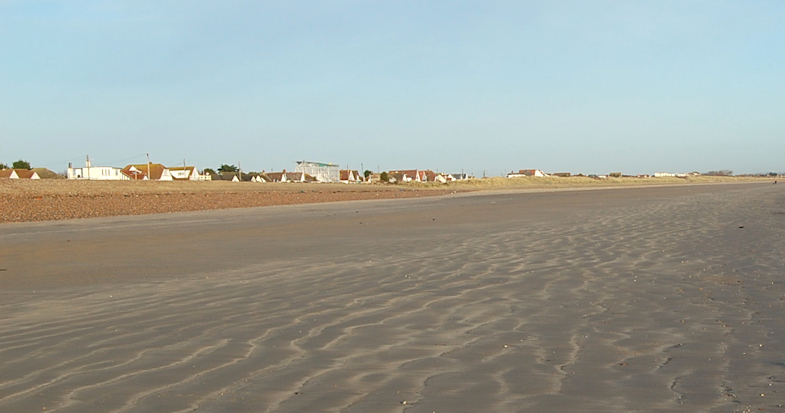 More than anything else, the beach has been the main reason that Greatstone village exists. Since ‘going to the seaside’ has been popular, Greatstone beach has drawn holiday makers from far and wide. It provides safe sea bathing in the haven of Romney Bay and miles of fine sand to build all the castles you want.